Today Gemba Academy published a podcast that I recorded with Ron Pereira last week. Ron and I first started looking into recording a podcast together two years ago when I was living in Tokyo, but our schedules with the time difference were hard to align! I’m happy that we finally had a chance to connect last week. I hope you enjoy our conversation as much as I did. You can link directly to the podcast here. Why the word intention is meaningful to me, and how it took on a deeper meaning when I lived in Japan. 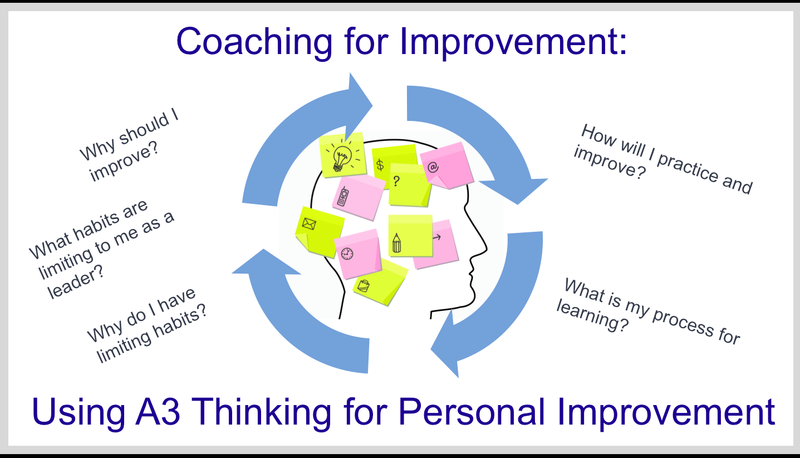 Get your own Personal Improvement A3 Coaching Guide: Listen to the podcast to get a special link on my website to get your own copy of new Personal Improvement A3 Coaching Guide! It’s available for a limited time only. 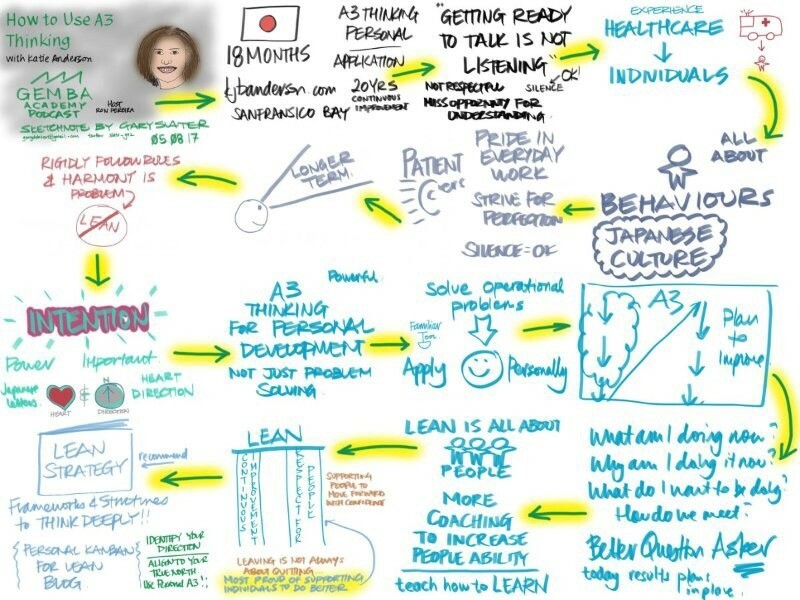 Gary Slater created these visual notes of the podcast and published them on LinkedIn. Pretty cool! Let me know what you think or any questions you have. Please leave your comments in the area below. If you enjoyed this podcast, you might be interested in previous podcasts that I recorded with Mark Graban over the past two years. 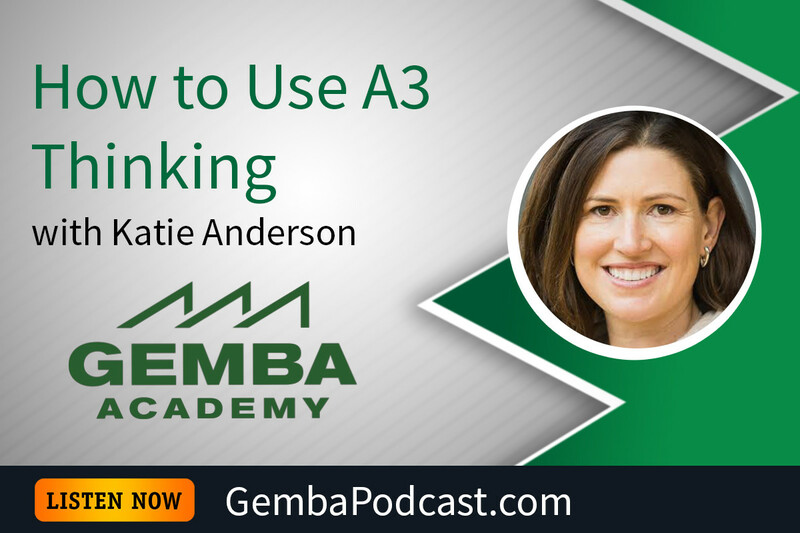 Want to be the first to know about what I’m learning about leadership and Lean – and more insights from Japan? Sign up below to be added to the distribution list. 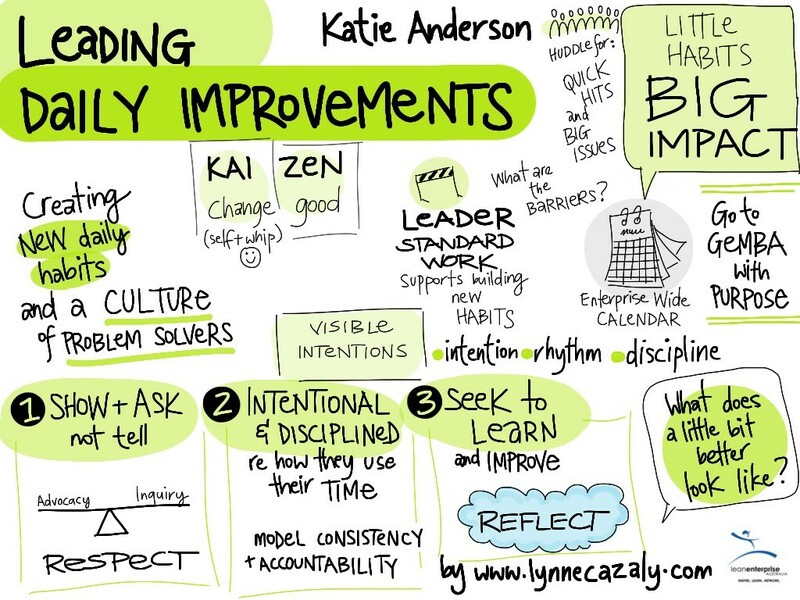 Lean Post Article: "Standout Lessons from the 4th Annual Lean Coaching Summit"